Let me begin by thanking the UK branch of the Tamil United Liberation Front for inviting me to deliver the Amirthalingam Memorial Oration on the occasion of the 25th death anniversary of the late Appapillai Amirthalingam, lawyer, parliamentarian, Leader of the Opposition in the Sri Lankan Parliament from 1977 to 1983 and leader of the Tamil United Liberation Front (TULF). Unlike earlier leaders of the Tamil parties, the late Amirthalingam came from a middle-class background and also dabbled in Left politics. I remember him saying at the funeral of Dr. N. M. Perera that he had attended Marxist study classes taken by Dr. Perera while he was a student in the University of Ceylon. He represented the Vaddukkodai constituency in the Sri Lankan Parliament from 1956 to 1970 and the Kankasanthurai constituency from 1977 until 1983 when he refused to take the anti-separatist oath under the Sixth Amendment to the Constitution brought in following the tragic events of July 1983. He returned to Parliament in 1989 but was assassinated along with Yogeswaran, a fellow TULF member, on 13 July 1989, exactly 25 years ago. He was neither the first nor the last Tamil politician to be killed by the Tamil Tigers (LTTE). From 1977 to 1983, he was also the Leader of the Opposition in Parliament, the first Tamil to hold the position. He performed his role with great acceptance. I remember the excellent speeches he and the late Sivasithamparam made during the debate on the Code of Criminal Procedure Bill. He opposed the imposition of civic disabilities on Madam Sirimavo Bandaranaike. At the Kalawana by-election, he supported Sarath Muttettuwegama of the Communist Party. The topic of my presentation today is ‘Constitutional Reform in Sri Lanka: Issues and Prospects’. In my view, the main constitutional issues to be addressed today in Sri Lanka are democratization and ethnic peace. Unfortunately, there is little democratic space today in Sri Lanka even for a discourse on constitutional reform. I will first deal with the issue of ethnic issue. In states where numerically smaller communities live dispersed, the demand is for equality – for adequate representation in the legislature and the executive, constitutional guarantees of non-discrimination, equal opportunities in education, equal economic opportunities, right to safeguard and promote their culture, use of their language when communicating with the government etc. All over the world, we see that communities that live geographically concentrated are not satisfied with guarantees of equality only but demand the right to manage their own affairs at the local level. When living together, a community also wishes to express its cultural identity in political form and thus the demand for a share of state power in the form of autonomy. It is the ‘being together’ that changes the character of the demand. Whether numerically smaller communities are dispersed or concentrated, ethno-political conflicts are essentially about state power. And it is state power that majority communities simply refuse to share. Once, a Sinhala professional asked at a seminar: ‘What problems do the Tamils have? They travel with us in the same bus and we share the same tea pot.’ My response was: ‘That is exactly the problem. You are prepared to share the tea pot but not state power.’ Such majoritarianism is almost universal; there are no benevolent majorities, as much as there are no benevolent dictators. Refusal to share state power raises the extent of autonomy demanded. In some cases, the demand evolves into one for separation, Sri Lanka being a classic case. Countries with such communities have solved the problem of political power only through power-sharing. However, that should not be confined to paper on which the Constitution is written, as it happened in the USSR and Yugoslavia – where power-sharing was near–perfect on paper, but the Russians and the Serbs respectively were in effective control, not to speak of the role of the Communist party. In such states and states where power-sharing is stubbornly denied by the majority, the demand for regional autonomy evolves into a demand for a separate state. When devolution is delayed, the extent of devolution demanded becomes greater. Wherever there has been genuine devolution, the demand for separation soon fizzled out. The situation in Sri Lanka is complex, for the reason that there are concentrated as well as dispersed communities. The Sri Lankan Tamils mainly live geographically concentrated in the Northern Province and parts of the Eastern Province. Muslims are found in all provinces with significant concentrations in the East. Hill-Country Tamils of Indian origin are found in significant numbers in the Central, Uva and Sabaragamuwa Provinces. The Sinhalese who constitute the majority of the country’s population are a minority in the Northern and Eastern provinces. In the early 20th Century, the demand of the Tamils was for power sharing at the national level. In the 1920’s, and early 1930’s, while the country was still a British Colony, they demanded guaranteed representation in the Legislature. There was little support for the demand for balanced (50–50) representation. There was a Tamil and a Muslim Minister in the 1931 State Council. After the elections to the State Council in 1936, the Sinhala members ensured that no Tamil or Muslim was elected a Member of the Board of Ministers. This was lesson No.1 for the Tamils which resulted in their moving towards the 50–50 demand and by the 1940’s there was great support for the demand in the North. Lesson No.2 was in 1949. The Tamil Congress (TC), the main Tamil political Party at that time, was a part of the Government led by the United National Party (UNP). In 1949, when legislation that would have the result of disenfranchising the Hill Country Tamils was presented in Parliament, the TC protested but was unable to prevent the legislation being adopted. Once the Sinhala Members decided to go ahead with disenfranchisement, the Tamil M.P.s, even with the Left Parties opposing the move, simply had no chance. The result was a split in the Tamil Congress and the formation of the Federal Party (FP). Those who broke away had realized that power sharing in Colombo would not work. For them, regional autonomy was the only salvation. But at the General election of 1952, federalism was decisively rejected by the Tamils. Despite the failure of the TC to prevent the disenfranchisement of their cousins in the central hills, the Tamils of the North and East voted again for the TC. The FP managed to win only 2 seats. Its leader Chelvanayakam was defeated at Kankesanthurai by a UNP candidate. The majority of the Tamils were simply not interested in federalism, but preferred power sharing at the national level. Lesson No. 3 changed it all. 1955 marks a watershed in the politics of Sri Lanka. That year, the two main Sinhala parties – the UNP and the SLFP (Sri Lanka Freedom Party) – both of which stood for replacement of English by Sinhala and Tamil as official languages, changed their policy to one as Sinhala only. At the 1956 elections, with Sinhala Only a virtual fate accompli, the Tamils voted overwhelmingly for the FP. This time it was the TC’s turn to be humiliated with two seats. It never recovered from that defeat. When Sinhala was made the only Official Language in 1956, Colvin R. de Silva, a leader of the Left warned ‘One language – two countries; Two languages – one country’. The warning was not heeded. Soon the country was in turmoil. Premier Bandaranaike had talks with Chelvanayagam, resulting in the B-C Pact which provided for the establishment of Regional Councils, devolution of power and optional merger of the North and East. Parliament was to delegate powers over certain specified subjects, and police powers were not amongst them. The Pact was fiercely opposed by extremist Buddhist Monks and the UNP and the Prime Minster was forced to abrogate the Pact. The situation worsened, culminating in the 1958 communal riots. The two communities moved further apart. At the funeral of Dr. N.M. Perera in August 1979, Mr. Amirthalingam stated that if the country had listened to Left leaders like N.M. who stood for parity of status between the two languages, he would not be forced to take the stand that he was taking, namely for separation. My own view is that while declaring both languages to be official languages would certainly have resulted in better relations between the communities, that itself would not have solved the question of state power. After the elections of 1965, the UNP was forced to share power with the Tamil parties. Premier Dudley Senanayake entered into a Pact with Chelvanayagam, known as the D-C Pact. Senanayake agreed to concessions on the use of Tamil and devolution of power to District Councils. In regard to colonization, he agreed that in future colonization schemes in the North and East, priority would be given to the landless persons of the two Provinces, followed by Tamils in the two Provinces and then to people from other Provinces, preference being given to Tamils. Senanayake even attended the FP convention in Kalmunai. When a White Paper on District Councils was presented in Parliament in 1968, it was the SLFP’s turn to oppose, joined by their coalition allies of the Left. The Paper was withdrawn in the face of the opposition and the FP soon left the Government. There were several other factors that worsened relations between the two communities in the 50’s and 60’s. This was a period of nationalist and anti-imperialist agitation all over the World. There were a number of radical measures taken, such as the take-over of foreign companies and assisted schools and agricultural reform. The Tamil parties were not enthusiastic about such measures, even opposing many of them. The Tamil parties were very conservative on most issues, acting like cousin brothers of the UNP. Another factor was the secessionist movement in South India. There was talk of a ‘greater Tamil Nadu’ that would include the North and East of Sri Lanka. This gave rise to deep suspicion and distrust. To add to all these, there was no shortage of communalists on either side, fanning hatred for political gain. But with all these and the failure of the B-C Pact and the D-C Pact, there was still no serious talk of a separate state. In fact, at the General elections of 1965, the FP in its manifesto called upon the Tamil-speaking people to vote against candidates who stood for the bifurcation of the country. This was an apparent reference to the ‘Eelath Thamilar Otrumai Munnani’ (ETOM), a small party led by C. Suntharalingam and probably the first separatist Tamil party. The year 1972 was a golden opportunity for a solution. We were enacting our own constitution, acting through a Constituent Assembly. V. Dharmalingam, speaking for the FP during the discussion on the Basic Resolution on the unitary nature of the Constitution, pleaded for federalism or at least the recognition of the federal principle in a unitary form of government. He suggested that as an interim measure, the SLFP, LSSP and CP should implement what they had promised in the election manifesto, namely that they would abolish Kachcheris and replace them with elected bodies. He stated: ‘If this Government thinks that it does not have a mandate to establish a federal Constitution, it can at least implement the policies of its leader, S.W.R.D. Bandaranaike, by decentralizing the administration, not in the manner it is being done now, but genuine decentralization, by removing the Kachcheris and in their place establishing elected bodies to administer those regions.’ This proposal fell on deaf ears. The Basic Resolution was passed. Contrary to popular belief, the Tamil members continued to participate in the Constituent Assembly even thereafter. They decided to keep away only after the government refused to improve upon its Basic Resolutions relating to language. The 1972 Constitution was thus enacted without the participation of the elected representatives of the Tamils. This was Lesson No.4 – which again proved that state power in Sri Lanka was with the Sinhalese. Tamil MPs nevertheless took oaths under the new Constitution. The acceptance of the FP’s proposed compromise for a division of power would have been a far reaching confidence building measure on which more could perhaps have been built later. It would have ensured the continued participation of the FP in the Constituent Assembly. Even had the FP, as the UNP eventually did, voted against the adoption of the new constitution, their participation in the entire constitution-making process would have resulted in greater acceptance of the 1972 Constitution by the Tamil people. If the United Front had met the FP half-way, the history of this country may have been significantly different; perhaps, there would not have been a Vaddukkodai resolution for external self-determination. The Tamil parties soon united under the banner of the Tamil United Front (TUF) which later became the Tamil United Liberation Front (TULF). At the famous Vaddukoddai conference of 1976, the TULF adopted separatism. On 26 April 1977, Chelvanayakam passed away and Amirthalingam took over the leadership of both the Federal Party and the TULF. At the 1977 parliamentary elections, the TULF contested on a secessionist platform pledging ‘to establish an independent sovereign, secular, socialist State of Tamil Eelam’and swept the Tamil areas. The 1977 elections were significant for another reason. For the first time, a party of the South, the UNP, acknowledged in its manifesto that Tamils have grievances and stated that the non-resolution of their problems had driven the Tamils towards separatism. It promised to set up a Round Table conference to address these issues. Tamils outside the North and East voted overwhelmingly for the UNP. However, there was to be no round table conference. The 1978 Constitution was another chance for a solution. But the UNP failed to respond and the Tamils refused to participate in the making of the Constitution. For the second time in Sri Lanka’s history, a constitution was enacted without the participation of the representatives of the Tamils, showing clearly that state power in Sri Lanka is with the Sinhalese. It is not surprising that the militants marginalized the TULF and took over. The ugly events of 1983 followed. The issue was internationalized. The rest is history. 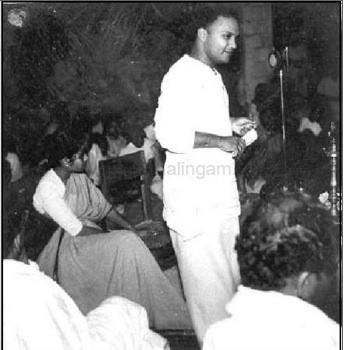 After 1983, Amirthalingam was in self-exile in Chennai. He was involved in various attempts at a constitutional settlement of the ethnic issue. He came to Colombo to participate in the All Party Conference. His interactions with the Indian authorities, including his contribution to the famous ‘Annexure C’, no doubt influenced the process that culminated in the adoption of the Thirteenth Amendment. However, the TULF considered the Amendment woefully inadequate to meet the aspirations of the Tamil people. Be that as it may, did the TULF blunder by not contesting the first elections to the merged North-Eastern Provincial Council? If the TULF did contest, whether in coalition or not with the militant groups that accepted the Thirteenth Amendment in principle, it would surely have set up the first administration in the North-East. President Premadasa did everything possible to scuttle the North-Eastern Provincial Council led by the EPRLF and finally dissolved it. But if it was a TULF administration, he would have found it very difficult to do what he did. Also, the TULF would have been regained the dominant position it once occupied in Tamil politics in 1988 rather than wait till 2001. The Jayewardene administration introduced the Thirteenth Amendment more due to pressure from India than out of a commitment to devolution. The Thirteenth Amendment is, however, fundamentally flawed. Although legislative power in respect of many subjects and functions has been devolved on Provincial Councils, Parliament has the power to override these Councils. In the guise of laying down national policy, Parliament may legislate even on subjects and functions enumerated in the Provincial Council List. It can override provincial statutes by using a two-thirds majority. The Concurrent List has been used by the Centre to restrict the powers of the Provinces. Appointed Governors have been able to undermine elected Chief Ministers. Successive administrations have used, figuratively speaking, every comma and full stop in the Thirteenth Amendment to thwart devolution and take back powers devolved. The situation has been worsened due to lack of a devolution-friendly administration. That Provincial Councils functioned in the North and East, the theatre of conflict, only for a very short period also contributed. The Councils outside the North and East were controlled by the parties in power at the centre, except for a few Councils for a few years. Provincial politicians were reluctant to push for the implementation of the Thirteenth Amendment for fear of offending leading figures in their own parties who were reluctant to part with power. The implementation of the 13th Amendment has been manipulated by the political regimes in Colombo to achieve their power objectives. Instead of devolving power as stipulated in the Constitution, successive governments were engaged in recentralization of the powers already given. During the last twenty two years, Provincial Councils were never given the necessary public space to justify their relevance to the Sri Lankan polity. Finally, both proactive and reactive politics involving the Provincial Council system during the last two decades have made the Provincial Councils yet another extended apparatus of the centralized governance system initiated by the 1978 Constitution. The study also noted that while devolution was originally thought of only as a solution to the ethnic question, its potential also as an instrument in furthering regional development and democracy is now being emphasized. This trend is certainly welcome. If Provincial Councils are given the opportunity and resources, they could also act as instruments to lift Sri Lanka’s under-developed areas. That would make devolution attractive to people outside the North and East as well. Sinhalese, Tamils and Muslims living outside Sri Lanka can bring in their expertise to develop their provinces. Experiences under the Thirteenth Amendment demonstrate that clear-cut division of powers, with adequate safeguards to prevent misuse, is necessary for the success of devolution in Sri Lanka. Given Sri Lanka’s political and administrative culture, the commas and full stops that enable the taking back of powers need to be deleted. Chandrika Kumaratunga changed the SLFP’s position after she took over as President in 1994 and proposed extensive devolution. While the Tamil parties, including ex-militant groups, welcomed this, the LTTE rejected the proposals and continued its campaign of violence. Sinhala extremists, on the other side of the coin, vehemently opposed the proposals, claiming that devolution would lead to eventual separation. Kumaratunga’s Constitution Bill of 2000 provided for a quasi-federal arrangement. The reference to Sri Lanka being a unitary State was to be dropped. Instead, the State was to consist of ‘the institutions of the Centre and of the Regions which shall exercise power as laid down by the Constitution.’ This description was a clever one that avoided labels. ‘Federal’ had become a dirty word in Sri Lankan politics with many equating it to separation but Tamils wanted devolution beyond a ‘unitary’ arrangement. A clear-cut division of powers between the centre and the provinces was proposed. The Bill was initially agreed to by the UNP, but it soon went back on it and sabotaged the Bill’s passage which could not muster the needed 2/3rd majority without its support. UNP’s Wickramasinghe formed a Government under the Kumaratunga Presidency in 2001. A ceasefire with the LTTE was agreed to and peace talks undertaken. The Government and the LTTE agreed in Oslo in December 2002 to ‘explore’ a federal solution but the LTTE soon went back on the agreement. The LTTE’s intransigence frustrated moderate Tamils. LTTE leaders from the Eastern Province broke away during the ceasefire period splitting the apparent monolith and later helped the Sri Lankan armed forces defeat the LTTE. The LTTE’s hard-line position helped hardliners among the Sinhala majority. Mahinda Rajapaksaascended the Presidency in 2005 with the support of the Sinhala hardliners. Interestingly the LTTE preferred a hardliner to a moderate and enforced a boycott of the poll in the areas it controlled, denying Wickramasinghe, who offered a high degree of devolution, a few hundred thousand crucial votes. This only confirms that it was never interested in a political settlement. Clearly, the LTTE overestimated itself as a military force. But within four years, Rajapakse’s military machine completely decimated the LTTE. The LTTE also misread the post-9/11 international situation. Most international actors helped Rajapakse to defeat the LTTE, directly or indirectly, although some were not happy with what was happening during the last stages of the war. Unlike the LTTE, the Tamil parties did not reject the Chandrika proposals outright and played a constructive role in the Parliamentary Select Committee. If the LTTE had been similarly constructive, the proposals would have garnered still more support in the South and the UNP would not have been able to sabotage the process as it did in 2000. Similarly, if the LTTE had responded positively to the UNP’s proposals, the resulting situation would have forced the UNP and the People’s Alliance to come to an understanding. Thus, as much as the Sinhalese missed opportunities for a solution, the Tamils also did or, rather, extremists on both sides made the country miss opportunities. If the LTTE had acted differently, Tamils would, today, have been a contented community sharing state power and thousands of Sri Lankan lives would have been saved. It is my view that movement towards a constitutional settlement of the ethnic issue is remote under the Rajapakse administration. The regime still basks in the glory of the military victory and hardliners hold sway in the regime. A political solution is occasionally talked about but appears to be on the backburner. An All Party Conference was summoned and an All-Party Representative Committee (APRC) and an Experts’ Panel were appointed to deal with the issue but there has been no movement. The majority of the experts, in what has come to be called the ‘majority report’, recommended a double-pronged approach – extensive devolution so that communities within the respective areas could exercise power and develop their own areas and power-sharing at the centre that would integrate the various communities into the body politic and strengthen national integration. The majority report was welcomed by moderates among the majority Sinhalese and overwhelmingly by Tamils, Muslims and Hill-country Tamils. Not surprisingly, the LTTE chose not to comment on the contents, instead questioning the right of the Tamil experts to represent the community. The APRC process dragged on for three years. Sinhala nationalist parties walked out at various stages but the SLFP, the main party in the government, stayed on. APRC Chairman Tissa Vitarana presented a summary of its proposals to the President in 2009. The proposals fell short of what the ‘majority report’ had recommended. But extensive devolution within a unitary state was proposed with power-sharing at the centre and the proposals could form the basis for talks. Interestingly, the Presidential Secretariat denied that it had a copy of the proposals while Vitarana reiterated that he had submitted a summary to the President. 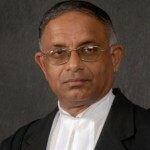 A Parliamentary Select Committee (PSC) has been appointed but, significantly, the Chairman of the APRC is not a member while the Sri Lanka Muslim Congress is also not represented. The Tamil Nationalist Alliance (TNA) has taken up the position that it would participate only if the Government takes up a clear position on a political solution. The Northern Provincial Council is the only Council controlled by a party in opposition, that too a Tamil party, the TNA. The present Government sees this as a threat to its superiority and has undermined the elected Northern PC from day one, even refusing to appoint a Chief Secretary of the Chief Minister’s choice. The Northern Provincial Council presents a challenge to the Tamil parties too. Whatever roadblocks are placed in their way, Tamil parties must demonstrate to the world that they are capable of governing. It is my view that the large majority of the Sinhala people are for a negotiated solution. Dr. Colin Irwin of the University of Liverpool, with vast experience in conducting opinion polls in conflict zones including Northern Ireland, Kashmir, the former Yugoslavia and Sudan, tested the preliminary proposals of the APRC against public opinion in March 2009, just three months before the end of the war. A year later in March 2010, nine months after the end of the war, the same proposals were tested again but with a larger sample that included people in the Northern Province. A summary of the APRC proposals as they existed in February 2009 were listed as a series of 14 ‘show cards’. Those interviewed were asked what they thought of each item on a given card. Was it ‘essential’, ‘desirable’, ‘acceptable’, ‘tolerable’ or ‘unacceptable’? They were then asked for their views on the ‘package’ as a whole, if they would support such a ‘package’ and under what circumstances. Contrary to the myth propagated by opponents of devolution that the Sinhalese do not favour devolution, 59% found the APRC proposals at least ‘acceptable’ three months before the end of the war at a time when defeat was staring in the face of the LTTE. One year later, nine months after the war ended, the figure had risen to as much as 80%. I now come to an issue that affects all communities in Sri Lanka, namely the executive presidency. The Sri Lankan presidency has very few parallels in the democratic world. None of the safeguards found in the American and French constitutions were incorporated into the 1978 Constitution. The President is head of state, head of government and head of the armed forces. 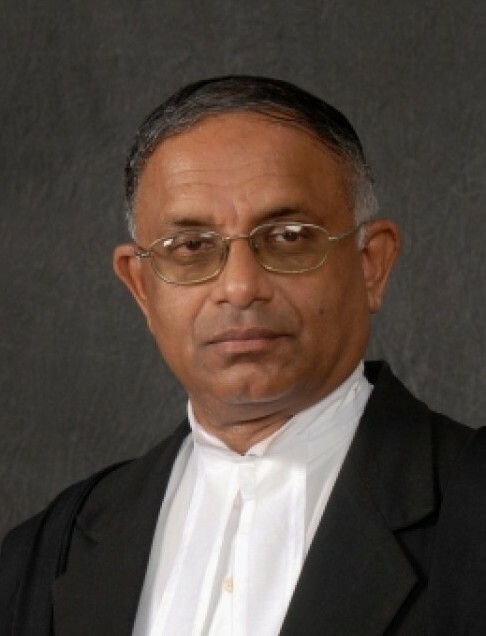 He appoints Ministers but is not required by the Constitution to consult the Prime Minister; he may consult the latter only if he considers it necessary. The President can also remove any Minister at will, even when the Prime Minister is from a party different to that of the President. The President’s powers over Parliament too have no parallel. If a Parliament ran its full course of six years without being prematurely dissolved, the next Parliament could be dissolved by the President at any time, even one day after the new Parliament meets. If the earlier Parliament had been prematurely dissolved by the President, the new Parliament can be dissolved at any time after one year, unless Parliament requests an earlier dissolution. The term of office of the President is six years. The Third Amendment introduced in 1982 by President Jayewardene strengthened the presidency further by permitting a President in his first term of office to seek another term at any time after completing four years. The President can thus choose the date of election most advantageous to him. The President also appoints judges of superior courts, secretaries of ministries and members of important commissions that are expected to be independent. His position is unassailable in practice. The President has total immunity from suit and this extends even to executive action. Not even a fundamental rights application can be filed against the President. A motion for impeachment must be passed by Parliament by a two-thirds majority to be referred to the Supreme Court. Even if the Supreme Court holds that the President is guilty of any of the allegations contained in such motion, Parliament must again pass a resolution for his removal by a two-thirds majority. The Seventeenth Amendment reduced the powers of the President in regard to making appointments to the higher judiciary, other high posts and the independent commissions. Appointments had to be approved or initiated by a Constitutional Council that was representative of the various political parties and ethnic groups. The Seventeenth Amendment thus provided for a national consensus for appointments to important positions. By the Eighteenth Amendment introduced by President Rajapaksa, the Constitutional Council was abolished. Under the new set up, the President would only ‘seek the observations’ of a Parliamentary Council. One of the few safeguards in the 1978 Constitution was that a person could be President only for two terms. That restriction was also removed by the Eighteenth Amendment. A survey of Constitutions from around the world shows that a fixed term of office is a defining characteristic of democratic presidential government. Defeating a long-sitting President is quite a difficult task as seen in many countries. A President in office has unrivalled and unfettered access to public resources and are also better poised when it comes to campaign funds. Even in the most consolidated of multi-party democracies, international observers have reported the flagrant abuse of state resources during elections. An incumbent President thus has an undoubted advantage. With no term limit and the Seventeenth Amendment out of the way, the executive presidency in Sri Lanka has certainly become one of the strongest and vilest, if not the strongest and vilest, presidential systems in the ‘democratic’ world. The last few years have seen serious issues relating to democratic governance emerging in Sri Lanka. While some of them arose due to the constitutional structure that permits such emergence, others have been due to the style of governance presently practiced. Prominent amongst such issues are the undermining of the rule of law, break-down of law and order, corruption, assaults on the independence of judiciary, impunity, accountability, intolerance of dissent, pressure on the media, religious intolerance and the breakdown of democratic institutions. World Bank Governance Indicators of all six dimensions taken into account for Sri Lanka for 2012 tell a sad story. Sri Lanka is placed on average at 42 in percentile rankings meaning that 58% of the countries are above Sri Lanka with better governance and 42% of countries below it. Observance of the rule of law shows the worst decline falling from a positive level at 0.32 in 2002 to negative 0.11 in 2012, the ranking falling from 61 to 52. The hard reality today is that comprehensive constitutional reform is not possible in the present political environment. My own view is that such reform would have a greater chance of success only in a more democratic political environment. Therefore, the first step in the reform process should be the creation of such democratic space by the abolition of the executive presidency and adopting a parliamentary form of government. I wish to reiterate that the abolition of the executive presidency would not, by itself, solve all of our problems. But without abolition, we cannot even dream of solving them. Tamil, Muslim and Indian Tamil parties earlier thought that the executive presidency was a safeguard for minorities as no one could get elected President without the support of the smaller communities. Rajapaksa’s win in 2005 and more so in 2010 has made them change their views. The UNP which introduced the executive presidency is also today for its abolition, having now experienced its full force. The SLFP has always been against the executive presidency and, even today, the large majority of its members, I am confident, are for its abolition. Today, it is only the present SLFP leadership that is unequivocally for the retention of the executive presidency. The abolition of the executive presidency and the re-introduction of the Seventeenth Amendment suitably modified to suit a parliamentary form of government is thus an essential first step. Apart from the achievement of ethnic peace, issues such as the supremacy of the constitution, a modern bill of rights, electoral reform, independence of the judiciary, re-establishing the rule of law, national consensus on appointments to high posts and independent institutions need to be addressed. The democratic space that would open up with the abolition of the executive presidency would be conducive to a discourse on comprehensive constitutional reform. Many of you would feel frustrated when told that prospects for comprehensive reform are bleak today. Having been a member of the committee that drafted the Constitution Bill of 2000 under the Chandrika administration and a signatory to the ‘majority report’ of the panel of experts, I myself am frustrated. But that is also the reality. As I said while delivering the Chelvanayakam Memorial Oration in April, constitutional changes are made in the theatre of hard politics, not in a vacuum. While we all have ideals, we need to be realistic about the immediate political environment. There are two ways in which the abolition of the executive presidency could be achieved. The first and easiest is for President Rajapaksa to use the 2/3rds majority he has and abolish it with effect from the end of his current term. If that does not happen, proponents of abolition would have no option but to support a candidate committed to abolition. Already, it has been proposed that all those who support abolition, including those within the Government, put forward such a ‘common candidate’. It has been proposed that the proposed constitutional amendment should be annexed to the election manifesto of the candidate which will also give the exact date on which the amending Bill will be presented to Parliament, a date within a month of the election, and the amendment would be effective on the completion of six months. For example, if the election is to be held on 03 January 2015, the Bill would be presented to Parliament on 02 February. The Bill would also give the 03 July 2015 as the exact date on which it would come into force and the executive presidency would stand abolished on that date. A nominal head of state would then be elected by Parliament. Going by previous decisions of the Supreme Court, notably the full-bench decision in the Thirteenth Amendment case, a referendum would not be necessary for such an amendment. But if the Court holds so, a referendum could be held within the six-month period. What about the 2/3rd majority required for the amendment? A win for the common candidate necessarily means the end of the present government. After a defeat, those who go into opposition are most likely to support abolition rather than continue to suffer under the executive presidency. They would have a much better chance of coming back to power under a parliamentary form of government and therefore it is reasonable to expect them to vote for the amendment if brought before Parliament soon. All those who wish to see democratic space re-created in Sri Lanka should join and be part of that change. That space would make possible serious discussion and a consensus on comprehensive reform. CA Debates 16 March 1971, vol 1, col 431. <http://www.amirthalingam.com/Default.aspx> accessed 07 July 2014. Ranjith Amarasinghe and others, ‘Summary and Recommendations’ in Twenty Two Years of Devolution: An Evaluation of the Working of Provincial Councils in Sri Lanka (Institute for Constitutional Studies 2010) vii. <www.peacepolls.org/peacepolls/documents/001173.pdf> accessed 15 October 2013. Steven Griner, ‘Term Limits can Check Corruption and Promote Political Accountability’ in Quarterly Americas, <www.americasquarterly.org/pros-and-cons-of-term-limits> accessed 25 July 2013.